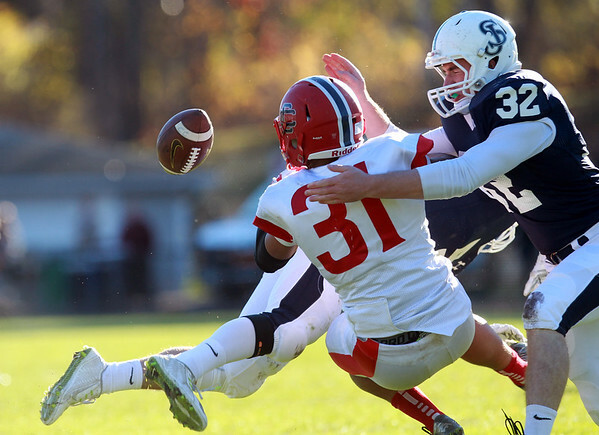 St. John's Prep junior Jack Lambert (32) finishes a hit on Central Catholic senior running back Markus Edmunds (31) after Prep junior Jacob Yish, back, made a big hit to dislodge the ball. The Eagles steamrolled the Raiders 42-7 in the D1 North Semifinal at Cronin Field in Danvers. DAVID LE/Staff photo. 11/2/14.